Because of this magnificent promise, Jesus can leave His apostles with “Peace.” How is this peace different from what “the world gives”? Peace in the world depends on circumstances. The peace of Jesus goes much deeper than that! His peace grounds us in the truth of God’s love and power, no matter what our circumstances might be. How can we be sure of this truth? We look to these promises right here. The charism given first to the apostles and then passed on through the laying on of hands to their successors enables us to know “all the truth,” expressed now in both Sacred Scripture and Sacred Tradition. Fortunately, we can look to the Book of Acts for evidence about which interpretation is the most biblical. St. Luke tells us about the first episode of confusion over truth experienced by the New Testament Church. In Antioch, where many Gentile pagans converted to Christianity, some Jewish Christians “who had come down from Judea” told the believers that they needed to be circumcised (always a sign of being in covenant with God) in order to be saved. This caused quite a rift in the Church there, with Paul and Barnabas insisting that circumcision wasn’t necessary. Which group had “all the truth”? They were all believers; they all had the Holy Spirit. The circumcision group had the Old Testament Scriptures on their side (the New Testament didn’t exist yet). Jesus hadn’t said anything about a situation like this. How would it be resolved? “It was decided that Paul, Barnabas, and some of the others should go up to Jerusalem to the apostles and elders about this question” (emphasis added). Here we see that the Christians in Antioch knew they couldn’t arrive at the truth about circumcision on their own. They did not expect the Holy Spirit to lead them into “all the truth” on this question. They did expect that the apostles in Jerusalem could settle it, because Jesus had promised that charism to them. 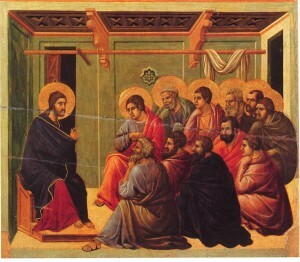 However, notice that it was not only the apostles but also “the elders” who were called upon to render a decision. Who were they? 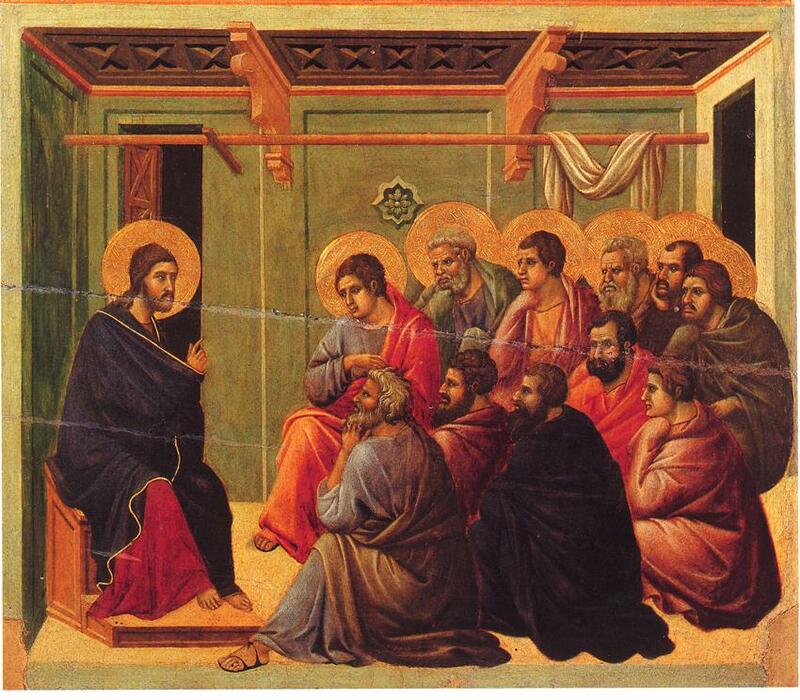 The “elders” (or “bishops”) were those appointed by the apostles to help lead the new Church (see Acts 14:23). We can see that right away the apostles were passing along their special charism through the laying on of hands (the growing Church would need many more than twelve leaders). Because the elders, by their ordination, received this gift of truth from the Holy Spirit, they were included in the decision about “all the truth” concering Gentile circumcision.